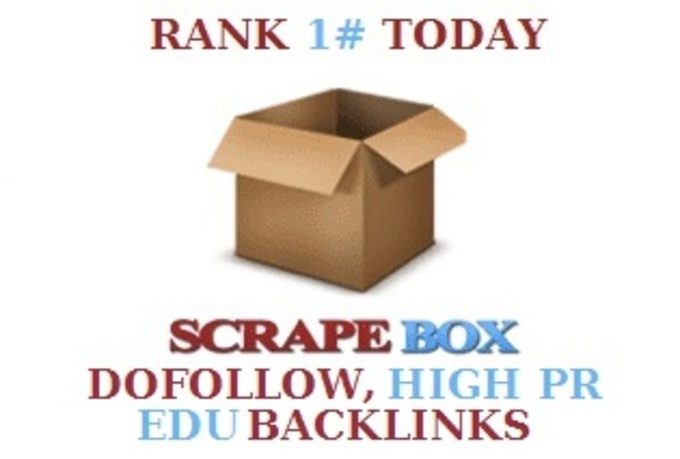 Hi *****I will create 1500+ dofollow, 1500+ high PR and 300 edu gov blog comments backlinks using scrapebox, unlimited URLs and keywords allowed ..............Dominate your competition with these high authority Iinks. Edu/Gov gives your website authority. Dofollow and High PR (1-5) transfers lots of Iink juice to your website. After submission you will receive live link report. Most other sellers only provide 1000 High PR or 1000 dofollow or 200 edu Iinks separately however i sell all of those backlinks and even more in just 1 gig. Order now, boost your rankings, get more traffic and get more sales!!! 1.5k+ dofollow, 1.5k+ high PR and 300 edu gov blog comments backlinks using scrapebox, unlimited URl is ranked 5 out of 5. Based on 4 user reviews.